When at age ten Panos Kolias found himself showing his accordion teacher in Arta, Greece, how to transcribe songs, he knew he was destined for a life of music. He started working as a professional musician by age 16, learning to play several more instruments, and ultimately playing in bands ranging from hard rock to traditional ethnic to classical. Panos's band performed as a support act for artists such as ASIA and Alana Myles. 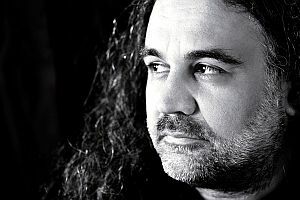 With deep involvement in the creation of Apple's GarageBand and Logic Pro, Panos also has unusual depth of technical audio and software knowledge. Through 25 years of diverse performing and recording experience Panos has achieved a wide level of versatility in both performance and composition. His big love remains to be orchestra music with and without folk, ethnic, and rock elements. Learn how to become a professional musician in the music industry.